Taylormotive is your place to buy North Vancouver tires. We carry top brands in tires like Michelin, Continental, Bridgestone, Sumitomo, and more. We provide professional wheel balancing with the Hunter Road Force Wheel Balancer GSP9700. When you want affordable tires and the best auto repair in North Vancouver, come to Taylormotive. • Enhanced protection, even in some of the harshest winter conditions. • The MICHELIN® X-Ice® Xi3™ tire stops up to 10% shorter on ice than leading competitors1, thanks to the combined performance of the Optimized Tread Block Technology, featuring the Cross Z Sipes™, Micro-Pumps, Block Edges and the FleX-Ice™ compound. • Safer winter performance, winter after winter. 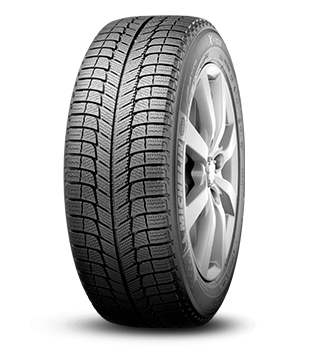 • The MICHELIN® X-Ice® Xi3™ tire provides winter performance for 60,000 kilometres t - up to twice that of the leading competitors2. The Michelin MaxTouch Construction™ features a unique contact patch shape that evenly distributes the forces of acceleration, braking and cornering of the X-Ice® Xi3™ tire, allowing for even wear and a longer tread life. • Protection for tomorrow and today. • Environmentally friendly MICHELIN® Green X® tires are designed to help you reduce the amount of fuel you use. By creating less rolling resistance, Green X® tires deliver industry-leading energy efficiency, while helping you save fuel and reduce carbon emissions. Bridgestone Tires, Michelin Tires, Hankook Tires, Continental Tires, Sumitomo Tires, West Lake Tires, BFGoodrich Tires, Uniroyal Tires, Firestone Tires, General Tires, Yokohama Tires, Jetzon Tires. Call Taylormotive for North Vancouver tires and availability at (604) 985-7455.